The Christmas season just would not be the same without shimmery, sparkly lights to illuminate everything and make the holiday even more shiny and bright. When it comes to picking the lights that will adorn your tree and home, you have many choices. LED Christmas lights are one of the best choices that are on the market today. If you have not considered using LED lights for your Christmas decorating needs, here are some great benefits they have that make them an excellent choice. LED Christmas lights do not produce as much heat as other types of Christmas lights. Therefore, there is less risk for fires. So, not only is there an increased chance that your tree will stay intact, your house will also be less likely to catch fire as well. Further, LED lights are cool to the touch. This feature is especially helpful for families with small children who tend to be curious. If a little one touches and LED Christmas light he or she will not get burned. When you use LED lights you can rest assured your home and family will remain safe all Christmas season. LED lights use less energy than other types of lighting. So, they are better for the environment. Since LED lights use fewer natural resources, they keep the amount of pollutants down, which is not only beneficial for you and your family, but for the entire world as well. Everyone is always looking for ways to save money, and using LED Christmas lights is a great way to do so. Although LED lights initially cost nearly twice as much as traditional incandescent Christmas lights, you will more than make up that cost in the savings you will see on your energy bill. In an average of just four holiday seasons, you will see the savings in cost. If you are sick and tired of replacing your incandescent Christmas lights every year, then you will love switching over to LED lights. 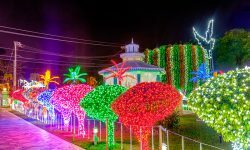 Since they do not have filaments, they last up to 10 times longer than other Christmas lights, and their luminescence last as many as 4,000 hours of use. That’s a lot of Christmas seasons! LED Christmas lights come in many different shapes and sizes. So, no matter how you want to use then and what look you are trying to achieve, you will be able to find a style that will work. Plus, not only do they come in the same shapes and sizes as incandescent bulbs, you will also find additional options as well. You can easily find LED lights that spread in multiple directions like a spectrum. This option is great for those who are looking for lights that will sparkle and shine brightly. 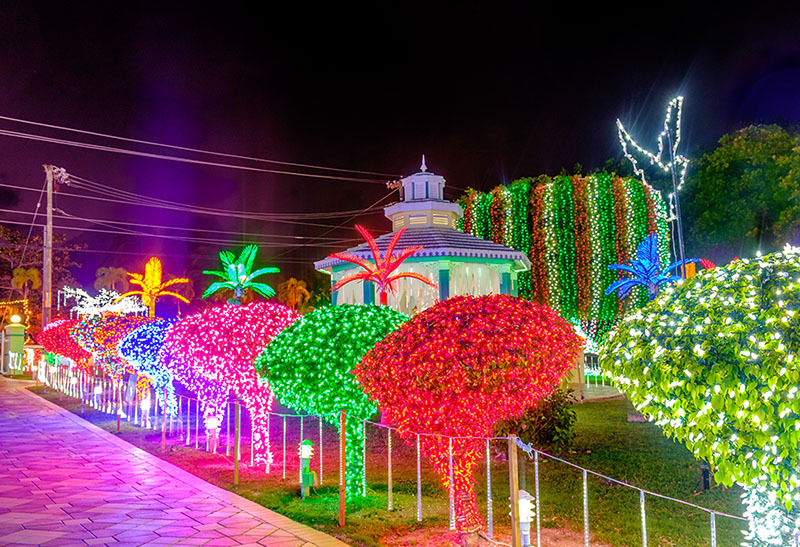 Another variety of LED lights is designed to illuminate a wider area that most Christmas lights do. Another great feature of LED lights is that they also come in novelty varieties as well. For example, you can find lights that are formed in holiday and seasonal shapes such as snowflakes, candy canes, Santas and reindeer. You can easily mix and match a variety of LED lights to create an original and festive holiday display. Anyone who has ever had to put away strings of incandescent Christmas lights knows the extreme care that must be used to get it done right. Incandescent lights are made of glass, so they are quite fragile and break easily. The strands of lights need to be wrapped carefully and covered in a protective layer of tissue paper, bubble wrap or something similar to keep them protected while they are in storage. Often, despite careful handling, the bulbs can break, rendering the entire strand useless. On the other hand, LED lights are made of plastic, so they can simply be wrapped up and stored anywhere. Since they are virtually unbreakable, you will save lots of money year to year since you will not have to replace broken strands. In most parts of the country, the weather is cold at Christmastime. Although LED lights cannot make the outdoor temperatures more temperate, they do have advantages in the winter. LED lights shine more brightly when the temperature is cold. In fact, they also work more efficiently. So, they are the perfect choice for cold climes. Christmas will be here before you know it and it will be time to buy new lights for your tree and home. This year try switching to LED lights. Not only will you have great decorative options to make everything beautiful, there are many other benefits, too. You save money in the long run, it is safer for your home and family and great for the environment.